We're so excited to see a record number of riders qualify for the 7th Online Championships! The Online Championship Show schedule is live and ready for you to enter. Make sure you enter by 26 May and upload your video for judging by 27 May - we won't be able to accept any late entries or videos. RDA rules apply, for more information search for the Rule Book on the RDA Index of Documents page. Riders may only enter levels which they have qualified for. If riders have qualified for more than one level, only entries in two Online Championship Show classes will be accepted. 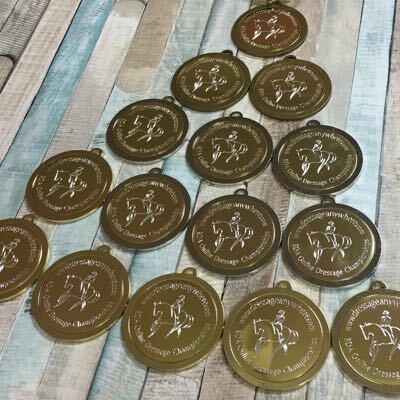 We will be at the RDA National Championships 2019, Hartpury College, Gloucestershire 12-13 July where we'll be presenting our Online Champions with Gold, Silver and Bronze medals! We hope to meet many of you there, so do come and find us in the tent next to the scoreboards. More details to follow. If you haven't received your qualification e-mail or have any questions at all, get in touch with Ruth at Dressage Anywhere.